At Café Britt, we care about more than just creating great coffee. We also care about making the world a better place and are committed to sustainable growing and harvesting practices that honor the planet and benefit the communities we work with. Our business model emphasizes the efficient use of natural resources by preventing pollution and reducing our impact on the environment. From the start, Café Britt has looked for ways to reduce its environmental impact and increase benefits for our employees and their families. We’ve set up metrics to let us know how we’re doing towards achieving our goals. We promote green living through recycling initiatives and company-wide green practices among our partners. We're also committed to building up the communities where our business operates by promoting educational and cultural programs and enforcing a strict fair pay policy. At Britt, we contribute to the development of surrounding communities, positively impacting them through actions, programs, and initiatives that seek to strengthen education, preserve the environment, and support at-risk populations. •We support the work of the Costa Rican International Baccalaureate Association. •More than 200 young people participated in training workshops given by our employees. More than 500 children and young people visited our Coffee Tour free of charge to learn more about coffee culture and the sustainable development initiatives that the company leads. More than 800 children received textbooks in public schools located in our areas of influence: Heredia, San Carlos, Guanacaste, and Biolley de Buenos Aires in Puntarenas. We support national and local organizations that work towards conservation of the environment and community development. A program for entrepreneurs in La Cruz, Guanacaste, was developed through a public-private partnership between Britt, the Tecnológico de Costa Rica (TEC), and Santa Elena Preserve. Over a period of eight months, participants received training in the revitalization and evolution of their products through programs that reinforced and promoted local identity, inspiring in them the search for excellence and quality in order to adapt to market demand. 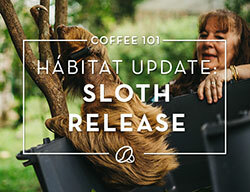 In order to raise awareness about the importance of conserving wildlife like the jaguar, Britt developed a special edition coffee called JAGUAR BLEND. It contributes to research work carried out by the Jaguar Program of the International Institute for Conservation and Wildlife Management (ICOMVIS) at the National University of Costa Rica, through the donation of wildlife cameras placed at strategic points in the Santa Rosa National Park in Guanacaste. In 2017, we assisted more than 20 families of employees who were affected by Tropical Storm Nate, through financial support and food. 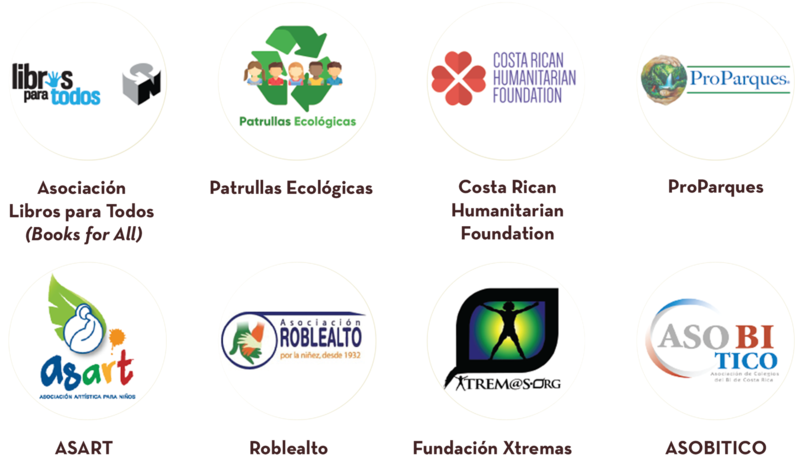 Annually, more than 60 organizations benefit from donations of our products. Our corporate volunteer program develops projects and activities related to infrastructure improvements in educational centers, recovery of public space, reforestation, clearing of trails in protected areas, campaigns to support at-risk populations, and rescue centers for wildlife. More than 25 employees put their skills and knowledge to work at different non-governmental organizations, through projects that focused on design, technology, training, and guidance in human resources and marketing. Since its founding, Grupo Britt has continually implemented alternatives that reduce its environmental footprint and positively influence the lives of its employees, their families, neighbors, suppliers, and customers, in order to preserve the environment for future generations. In 2017, Grupo Britt was able to recover 112 tons of waste, preventing it from ending up in landfills. In our value chain, we use life cycle analysis criteria and work with more than 25 authorized entities that transform and co-process solid waste. Grupo Britt develops processes for responsible management of hazardous waste, as stipulated in current legislation. In 2017, Grupo Britt responsibly processed 19 tons of special waste through the use of five suppliers authorized for the treatment and disposal of the same. In 2017, Café Britt quantified, verified, and offset its inventory of Greenhouse Gas (GHG) emissions for the year 2016 (assessed at 692.33 tons). For this, Certified Emission Reductions (CERs) were acquired through the transfer of technology for the generation of renewable energy in lieu of petroleum inputs for production. We seek to reduce the consumption of water and electricity as much as possible by promoting energy efficiency in production, turning off air conditioners, equipment, and lighting at night, and using water-saving devices in bathrooms and sinks. The Britt Espresso Master Collector Program promotes the collection and upcycling of empty coffee capsules into plastic wood. In 2017, half a million plastic capsules were recovered, and a recycling station made of plastic wood was delivered to the República de Francia School in Pozos de Santa Ana. In 2017, we started a project to replace our coffee capsules’ material with one that is more environmentally friendly. The experimental phase began by evaluating different bioplastics through biodegradability tests in various environments. One was found to be an excellent alternative—when subjected to a composting environment, it decomposes into the soil in about 180 days. In 2017, Café Britt positively impacted our local environment by working in partnership with the communities of Barrio Jesús de Santa Bárbara and Mercedes Norte de Heredia. As part of our community involvement, Café Britt joined the Ecological Blue Flag Program Committee in Barrio Jesús, supporting clean-up days, recycling campaigns, public signage, and workshops and training for children, youth, and seniors. Likewise, the company opened its doors to community engagement activities. Grupo Britt’s management system is certified to ISO 14001: 2015, 28000: 2013, and 9001: 2015 standards, ensuring the quality of our products, the safety of our processes, and the reduction of our impact on the environment. The Britt Coffee Tour holds a four-star Certificate of Sustainable Tourism through the Costa Rican Tourism Board, affirming our ability to offer visitors a product that promotes community development and, especially, environmental protection. Our Peruvian operations were certified under ISO 28000, strengthening our supply chain. In step with Costa Rica’s goal to become Carbon Neutral by 2021, Grupo Britt became, in 2013, one of the first companies to obtain this type of certification from the Ministry of the Environment, then verified by the Costa Rican Institute for Technical Norms (INTECO). At the beginning of 2014, we were approved to use the country brand Essential Costa Rica through PROCOMER, the foreign trade agency.